A meandering ode to the simple act and accomplished art of taking a walk. Profound and humorous, companionable and curmudgeonly. 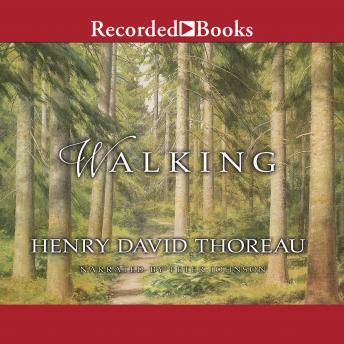 Walking, by America's first nature writer, is your personal and portable guide to the activity that, like no other, awakens the senses and soul to the 'absolute freedom and wildness' of nature.